The outdoor Sunset Cinema is featuring on the Mackerel Quay side of the Marina, and at the time of going to press with this blog, the various eateries were going to take it in turn to offer food offerings, with Martha’s Vineyard being the first to do so. 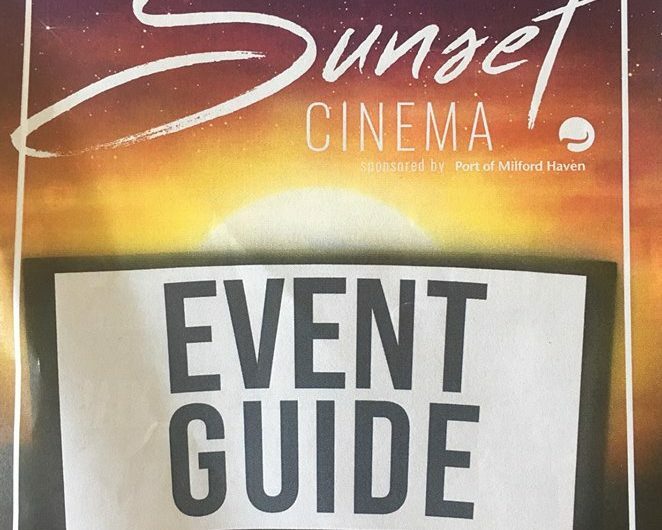 So, for those that do not know what the Sunset Cinema is….it is run by the Torch Theatre and they come along with a big screen and pop this up outside by the Sloop Icecream parlour and once the sun has set, the cinema begins. I’m very excited about the Mama Mia 2 event which is happening in August. I Can’t Wait, and so much so, I am going to see the film in the cinema at the Torch Theatre on it’s first night which is in a few days (at time of writing) and then I shall be wrapped up to watch it at sunset for viewing 2! You bring blankets, chairs, warm clothes(just in case), a picnic if you wish, although, as I have said, there will be food offerings available. It’s a great atmosphere and a definite ‘Must do’. We can lend you chairs and blankets, and if you wish, we can certainly organise for you a lovely picnic to enjoy whilst you watch. There is such a great atmosphere, I would certainly recommend it. 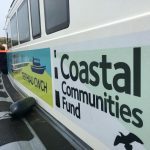 You can also visit the Sunset Cinema at other sites in Pembrokeshire, check out our Facebook Post that has all the listings. 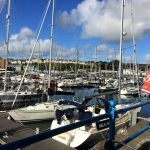 The other BIG thing that is on offer on Milford Waterfront (the new name for the tourism part of Milford Marina) is the offering of Boat Trips. They have a very large rib boat, covered in (so you don’t have to worry about the weather), 2 HUGE engines so it’s really fast and smooth and…a toilet! 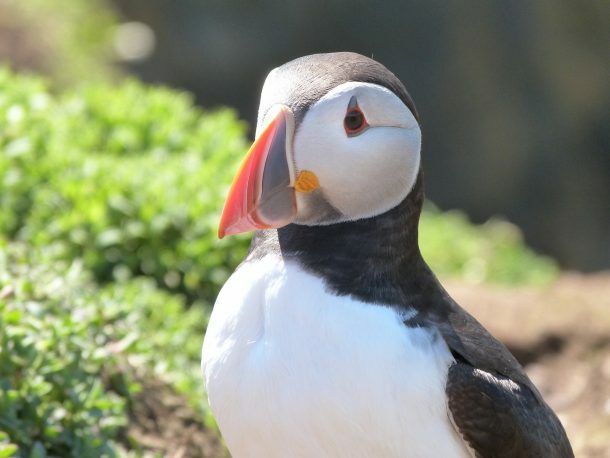 They are doing twice daily trips at the moment from the Mackerel Quay travelling down the river out past St Ann’s Head and then going to Skomer Island-these are happening at 11am & 2pm daily-price at time of going to press £25 per person. They are also running specialist boat trips further off shore dolphin watching and also Photography trips. There is much more planned also. If you have a large group, they are also happy to organise bespoke trips. Also going on, a Craft Fayre inside the marquee that has been put up for the summer, where you can try quite a few different crafts with them having ‘Make & Take’ sessions for you to trial many different crafts. There are also many activities planned for the white marquee-Pilates on a Monday, which you can drop into, should you wish. There will also be artificial grass put out and the large garden games will be there for people to play,, together with the Super Large Deck chairs. Keep an eye on our Facebook Page for more events as they pop up and see even more on our social wall!